After a frustrating season so far for the Taranaki womans side having their first two rounds of the competition abandoneded due to weather they were finally able to some play. Up against Manawatu at Pukekura Park Manawatu skipper Hannah Rowe won the toss and elected to bat. A decision she may have regretted as Taranaki’s Taila Hurley struck with the 3rd ball of the game. 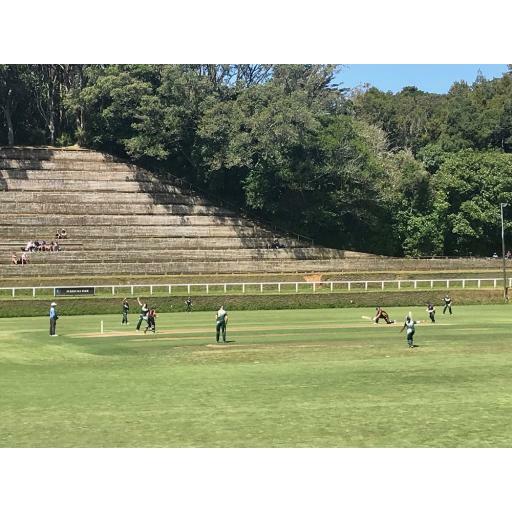 The Taranaki bowlers would continue to apply the pressure early as Manawatu reached 31 for 3 after 10 overs, Mikaela Gregg would take the momentum away from Taranaki as she scored 48 off 43 balls, Kelsey Husband would eventually clean bowl her giving Taranaki an opening. Kate Baxter would lead the charge as she returned figures of 5 for 20 helping dismiss Manawatu for 149. Emily Cunningham (24) and Jess Hollard got Taranaki off to a confident start putting on 36 for the 1st wicket, Cunningham was the first to go followed 3 balls later by Aimee Wisnewski, Hollard would follow a few overs later, when Taranaki lost player coach Aimee Watkins the score was 65 for 4 after 20 overs. Taila Hurley would come to the crease and take the game to the Manawatu attack as she put away anything loose on her way to 32 off just 25 balls, Hurley was the 7th wicket to fal as was run out with 29 runs required in the 31st over. Unfortunately Taranaki lost their final 3 wickets also in the 31st over as they were dismissed for 120. Manawatu victorious by 29 runs.